So Your child wants to be an actor? Try your local theatre, join a drama club at school, and ring your local amateur dramatic company. Take lessons at your local drama school, you can take acting, singing and dancing lessons and there are literally hundreds listed on this website. Read books on acting techniques seek out plays and take advantage of the wonderful deals that our theatres offer children and students. Kid’s week in August is a great example of just that, for two weeks every full paying adult can take 1 child to participating theatres absolutely free. Create your own performance opportunities by entering drama festivals and don’t forget to Google! There is so much valuable information on the net. I have taught singing for the last 6 years both privately, in secondary schools and in theatre schools. I absolutely love what I do, it is my passion! Singing has always been one of those things that I have always done, it’s like breathing to me. I love sharing my enthusiasm for singing and what better way to do this than by passing on the knowledge that I have from my performing and singing career than by teaching? Little Voices is so unique in it’s small class numbers and I LOVE having the time in the lessons to hear each child’s voice individually. When a shy child has the courage to sing on their own and really takes on the advice I give them to go for it, it often brings a tear to my eyes! I was a very shy child and struggled so much with confidence so I know what a milestone singing solo can be. No matter the amount of natural ability an individual has, with the right training, support and practice, every person can improve. We may not all be Mariah’s or Whitney’s in the making and nor should we be. 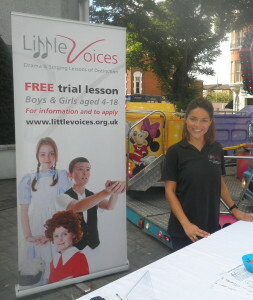 At Little Voices, we encourage every child to be the best that THEY can be. We encourage them through regular feedback and writing in their lesson notebooks so they can go home and practice. I’m so proud of my Little Voices pupils and the progress they have already made in just 6 weeks. Keep up the great work everyone! How drama and singing training helps your child at school with numeracy, literacy, reading, biology and physics! There are so many benefits to drama and singing lessons that help your child with school. Singing is all about music and music is a very mathematical subject. The timing, the note values, musical notation, the speed, the length of phrases are just some of the important components of teaching singing. This in turn aids maths, the two complement each other in a really disguised way. In the context of your child’s lessons at Little Voices they are acquiring so much knowledge in a fun way that will inherently help their schooling. The lyrics of songs aid your child’s literacy and reading. A child has to understand each word that they are singing so that they can emotional portray the meaning of the song in performance. The script reading and understanding in drama lessons is again so important to the overall educational development of a child in school. The way that the voice works is very complex and from a very young age we are talking in your child’s lessons about the biology of the human voice and how our bodies support the voice. This is fantastic for children as they often get into Year 9 at school and all the ‘intercostal diaphragmatic breathing’ topic that is covered in biology they already know. In physics they already know how a sound is produced and how it travels! So who would have thought it that drama and singing each week would help topics such as biology and physics! How to research a role/character? All of these things are covered in lessons but it really helps if your child is also addressing these areas at home too! Look for the answers in the script! It helps to clarify the character in our own mind and be prepared to adapt and amend as you go along! Even for Mini Voices if they can research the meaning of the words in their poem and really understand their meaning it will help! Maybe even learn about the poet who wrote their poem. It is all about preparation and creating good foundations for when they do have to learn a whole role in the Little Voices / Voices lessons. My vision is to get our Little Voices SWL to be the BEST it can be and BETTER. 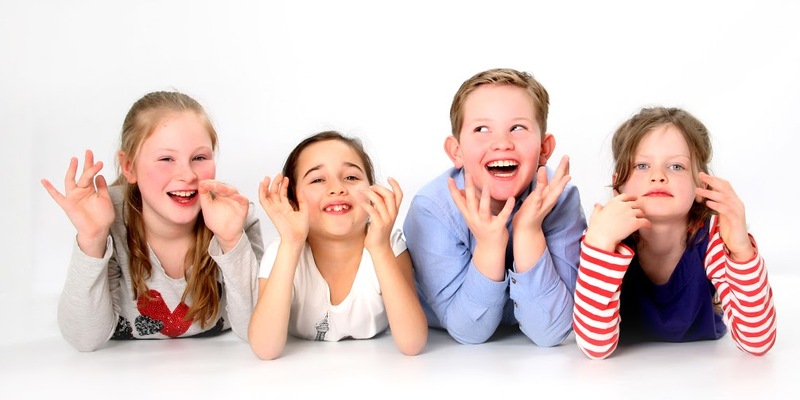 My goal is to have centre’s providing the highest quality of singing and drama lessons, exam results and SERVICE to all local mums, dads, grandparents, au pairs, nannies, schools, children, teenagers and more. I really care about every child and want to promote a close knit small family caring environment in which children can learn and have fun. Our lesson groups are so small to ensure this happens. I will continue to strive for the very BEST and want parents like yourself TO TRUST us and have 100% confidence in us and our lessons. Which teacher influenced you the most? I am sure that you agree.